I’m Trying to Lead…Is Anybody Following? Leadership is a treacherous journey, and only the bravest people book passage for the trip. In I’m Trying to Lead . 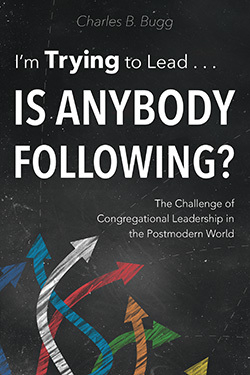 . . Is Anybody Following?, Charles B. Bugg, author of Transformational Leadership, offers ministers and church leaders a roadmap for guiding congregations. Rather than offering the false promise of “seven easy steps,” however, Bugg provides us with a view of leadership that has theological integrity, honors the diversity of church members, and reinforces the brave hearts of church leaders who offer vision and take risks in the service of Christ and the church. Charles B. Bugg has been pastor of churches in Florida, Georgia, and North Carolina. In addition, he has served as Interim Pastor in more than 30 churches. 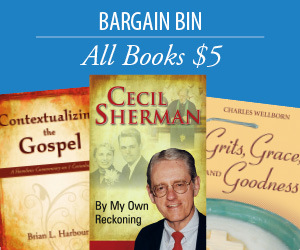 Bugg has published 10 books in addition to numerous articles and lessons. Bugg now lives in Georgetown, KY, where he serves as an adjunct professor at Baptist Seminary of Kentucky and Georgetown College. A clear, creative and compelling case for “transformational leadership,” impressively grounded in a wide range of contemporary leadership studies, Christian spirituality, and the Gospels. Thoughtful questions at the end of each chapter make the book an ideal resource for group study not only by church leaders but by congregations. I began reading Chuck Bugg’s new book with some skepticism that there could be any new material on the subject of leadership. And yet, I finished feeling encouraged by his fresh and effective vision for leadership to grow in community with others as we face change together. This book will cause you to think differently about yourself as a leader, the congregation, and the mission of the church in a postmodern world.